At 10 years old, your little lady has a personality and an attitude that is starting to show more maturity for her age. Some might even be entering puberty and experiences all of the emotions that come with this time. 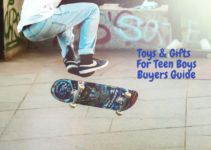 This can make it difficult to choose the best age-appropriate toys and gifts for 10 year old girls, but we’re going to help you. Our short and comprehensive guide will tell you what you should expect from your 10-year-old girl in terms of development, what her possible likes are at this age, and what she needs to have a happy and healthy life. We’ve also picked out 10 games and activities that your daughter may enjoy at this age, and our mini-reviews make it easy for you to compare them side-by-side. As a parent, you have to understand that your 10-year-old might be going through a turbulent time with their emotions and hormones. Also, this is the age where they start to develop their logical thinking, and they might start to express interest in real-life activities like cooking, baking, or doing outside activities. As this age, your girl has a lot of energy, and this is the stage where a lot of girls want to spend time with their friends in social situations. Things like birthday parties, play dates, and sleepovers are the new normal. This is also the stage where you can start to see more of her personality start to shine through. She might start to develop an independent streak and show a lot of natural curiosity to the world around her. It’s good to encourage this curiosity and this independence, but you still want to set healthy boundaries. She may also start liking makeup or want her hair cut or styled a certain way. She’s developing her own style to match her personality. At this stage, it is very important that your daughter knows that the lines of communication between herself and her parents are open and honest. You’ll want to set clear rules, but be prepared to give reasons why she has to follow the rules you set. Answer any questions she has, and be sure that she knows that you’re there to support her. Start asking her about her likes and dislikes. This period is where she’s starting to really develop her logical thinking skills along with good hand-eye coordination. You can help to support this by picking out games and activities that are fun but still make her use her logical thinking skills. For example, if she likes lip balm, get her a lip balm making kit and let her try it. It’ll introduce her to chemistry and science in a fun way. 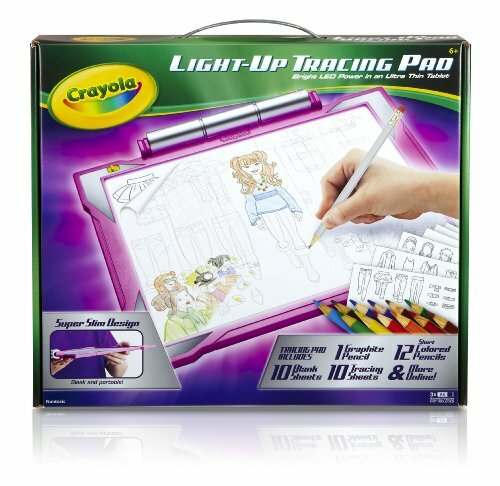 This light-up tracing pad comes with 12 colored pencils, a graphite pencil, 10 tracing sheets, 10 blank sheets, and more. You’ll get over 100 traceable images in a single kit, and it lets your child explore their artistic side with a variety of coloring and tracing activities. The bright LED tracing light makes it very easy to use, and the raised frame holds the tracing paper securely in place until your daughter finishes her artwork. The bright design makes this easy to pick out and see, and it’s easy to create customized pictures. 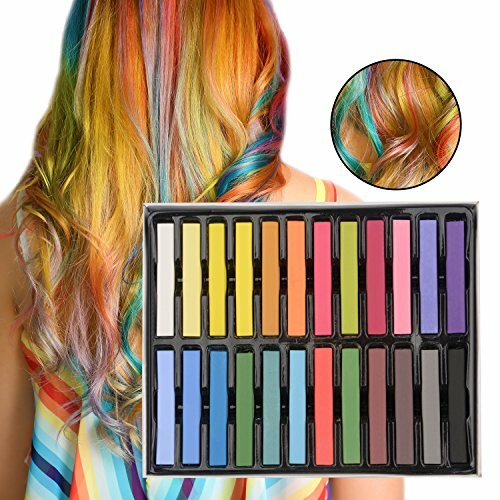 This colorful temporary hair chalk is the perfect way for your child to add a fun pop of color to their hair. It works on any hair type or color, and it’s best to get the hair wet before you apply it so you get an even color. You get 24 bright colors to choose from, and they all wash out quickly and easily. Invite your daughter’s friends to play and have a beauty treatment! They’re non-toxic and chemical-free, so you know they’re safe to use. The longer pen design makes applying these colors easy and fun. 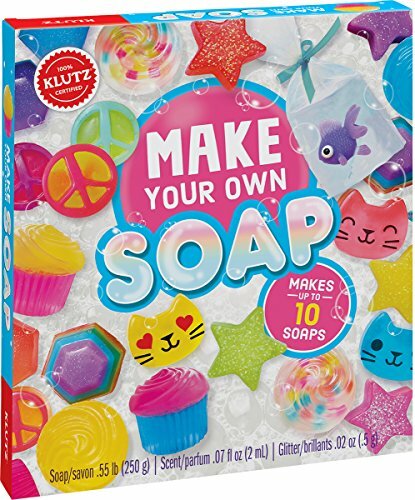 Encourage an interest in chemistry and science with this fun soap making science kit! You can choose from a variety of different designs including stars, faces, animals, cupcakes, and peace signs. This product was the winner of the 2017 National Parenting Center Award. The instructions are bright and easy to follow, and you get bonus science and chemistry facts listed on the sides as well. You can add scents and glitter as well as fun colors and shapes for a customizable soap. This kit comes with a 36-page book for additional inspiration. 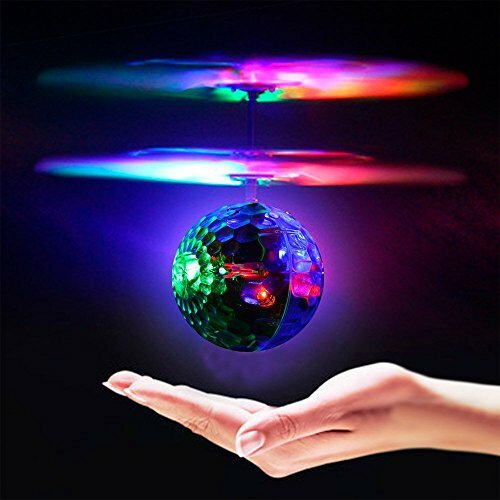 This bright drone toy features four colorful blades and a reflective ball that you have to balance. You switch this toy on by a on/off switch located at the bottom of the toy, and you hold it in your hand until it’s balanced. Once it is balanced, it’ll start to hover over your hard. You want to make it fly up without overturning. When it comes back down, put your hand back underneath it to send it airborne again. This toy interacts with your movements, so slow and steady movements will get a steady flight. This DIY cafe kit will help your daughter work on her hand-eye coordination while she builds her dream cafe. This kit features safe and non-toxic parts, but you do have to supply your own glue, tape, and tweezers to set it up. 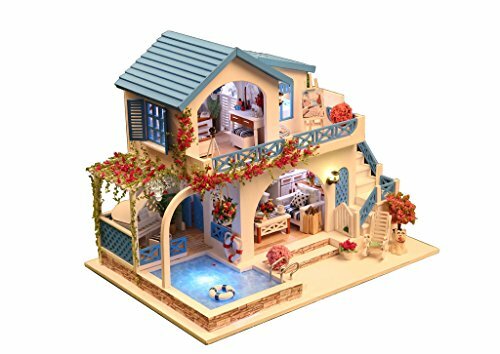 Your daughter will enjoy customizing this cafe to her individual style, and it’s a great way to keep her entertained for a short while. When she’s finished with it, she’ll have a model that she can keep and show off to her family and friends. It’s also a great way to have a parent-child project. 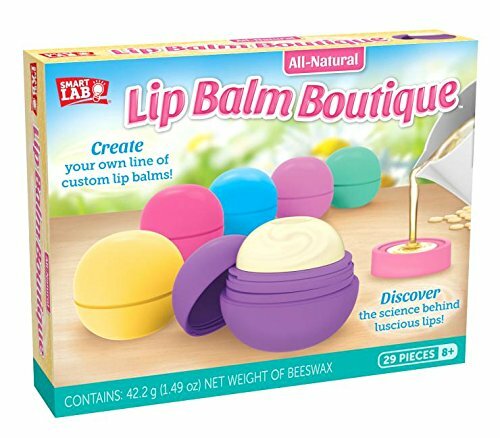 Your daughter can make her own line of custom lip balms with safe and natural ingredients with this kit. This kit uses beeswax and a variety of custom molds that lets your daughter create one of a kind lotion bars and lip balms. The kit includes six lip balm containers, one mold, one lotion bar mold, four different shapes, gift bag sticker sheet, six gift bags, and 42.2 grams of beeswax. She can keep her creations for herself or give them to friends and family as gifts. The included pamphlet also tells her how to take care of her lips. 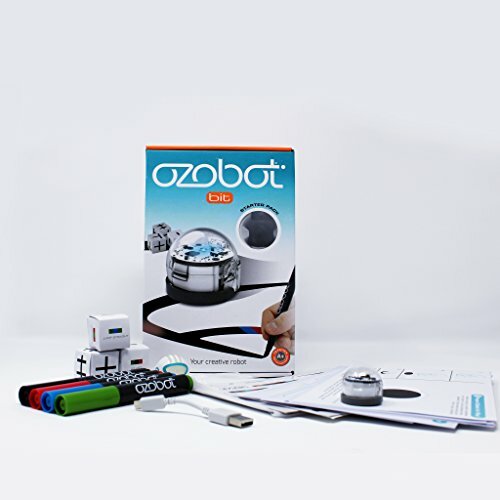 This small interactive robot is a great way for your daughter to start learning how to code or work on her computer science skills. It comes with over 20 different fun games, and you can go online to get more activities or games when she finishes the first set. Start out writing simple instruction code, and your daughter can work her way up to giving Bit a personality. Your daughter can also customize her robot with stickers, skins, and much more. She can use markers, colored pencils, paint, pencils, or pens to draw the code for the robot to work on. This deluxe art set ranges in sizes from 68 pieces up to 131 pieces. 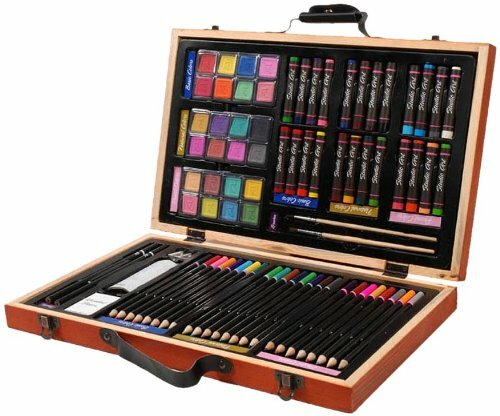 You get colored pencils, oil pastels, watercolor cakes, drawing pencils, paint brushes, pencil sharpeners, erasers, and sanding blocks all in a stylish wooden case that latches closed. 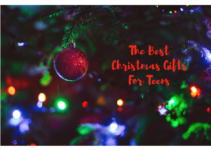 It’s a great gift choice for both beginner and serious artists, and it has everything your daughter needs to create her masterpieces. It’s also portable so that she can take it with her to sleepovers or friend’s houses quickly and easily. She’ll be able to spend hours playing with different art mediums and developing her style. This fun game will challenge your daughter and help to build her hand-eye coordination when she uses it. It’s good for up to four players, or your daughter can play on her own. 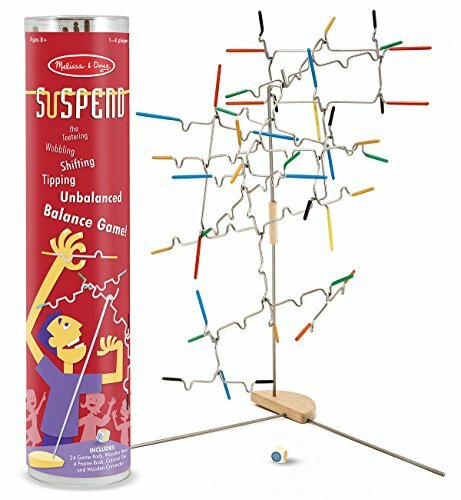 You get 24 game rods, four frame rods, a wooden base, colored dice, and a connector. She’ll enjoy figuring out how to balance her next piece on the structure without toppling it over. This game is a great way to have a family night or do some one-on-one bonding. It’ll help to develop her thinking skills as well. Your daughter can use this pen to bring her doodles and designs to life in 3D. 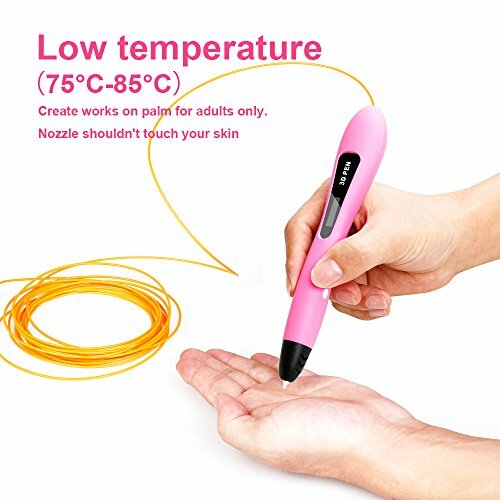 This pen is also safe to use because it doesn’t exceed 170 degrees unlike other products that can get up to 400 degrees. It has a slightly larger design that’s easy to grip and use. This toy encourages your daughter to learn and think about how large she’d like her projects to be. You fill it with non-toxic PCL filament, and this is what heats up and comes out of the nozzle. This pen has a very user-friendly design. Your 10 year old girl may be developing her independence, but she still needs to know you’re there. These 10 toys and activities can stimulate her mind, and you can even combine them into a fun one-on-one activity. You’ll be able to work with her to complete the games or activities, and she’ll continue to develop her likes, dislikes, and personality.